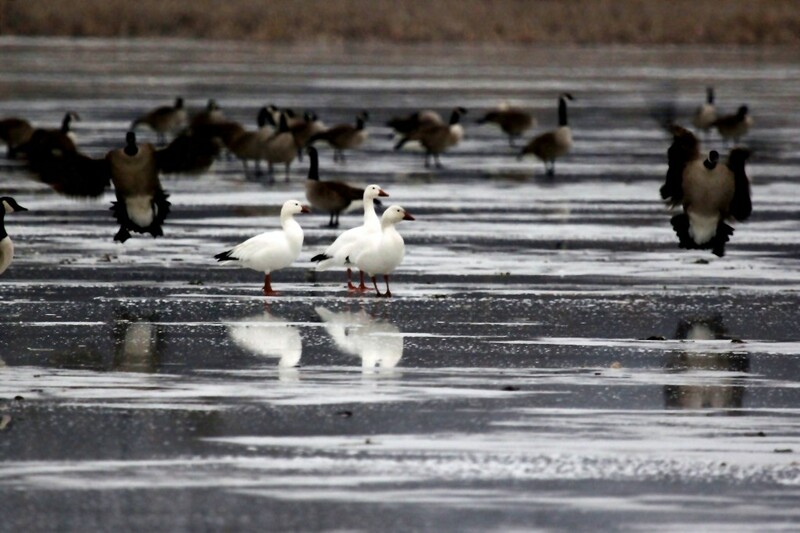 Snows on Ice in Goshen! 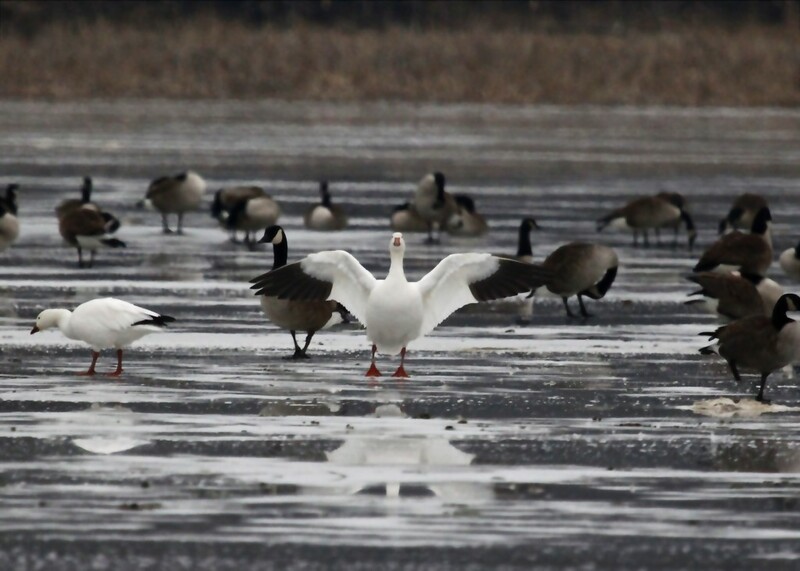 Author mattzeitPosted on January 30, 2013 February 1, 2013 Categories 6 1/2 Station Road Sanctuary, Orange County, Swimming Waterbirds2 Comments on Snows on Ice in Goshen! 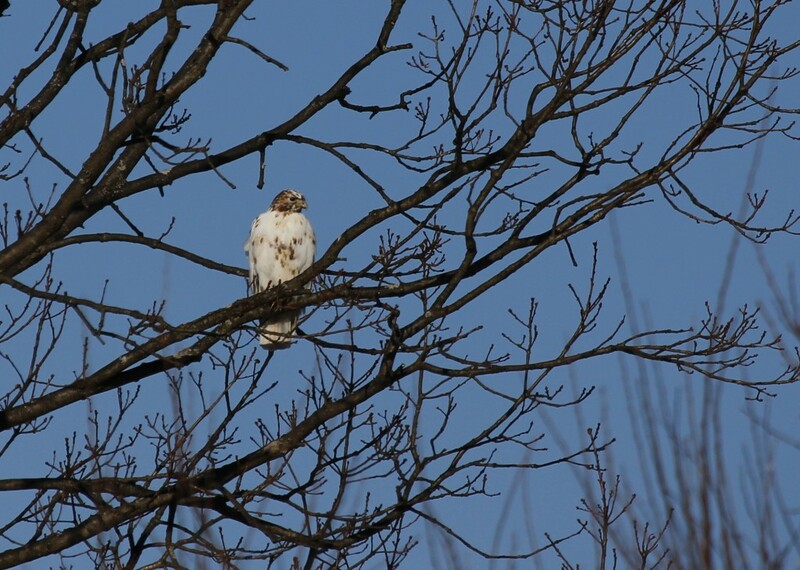 This was such a pretty bird to see – Leucistic Red-tailed Hawk in Warwick NY 1-27-13. Sunday afternoon I had to resist the urge to go back to the Shawangunk Grasslands and sit in the blind. I decided instead check a few spots in Orange County and see what I could find. 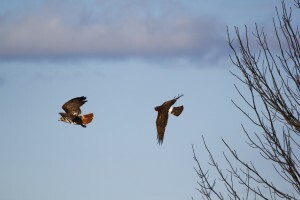 My first stop was in Warwick to look for a leucistic Red-tailed Hawk that my friend and fellow hawk counter Carol Linguanti had recently told me about. I was thrilled just to find the bird and see it, but what was really exciting was to be able to get some photos of this incredible bird. 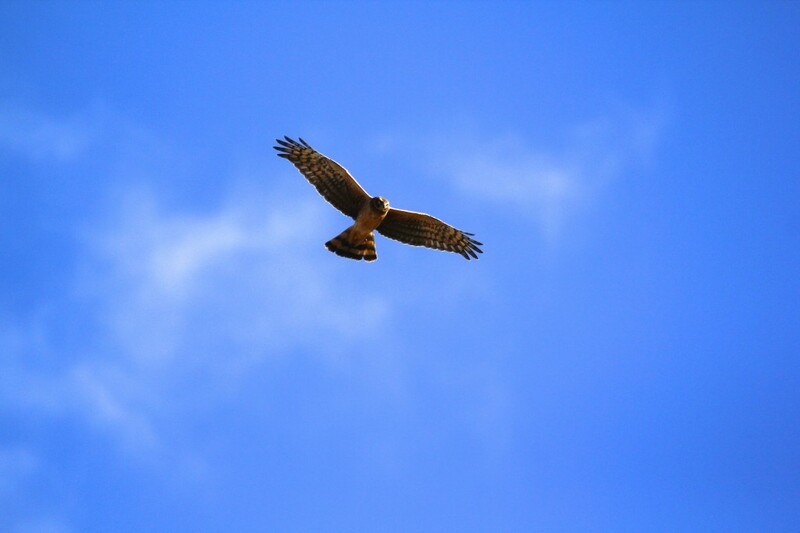 It was amazing to see this bird in flight; what a beauty. Huge thanks to Carol for helping me out with this one. 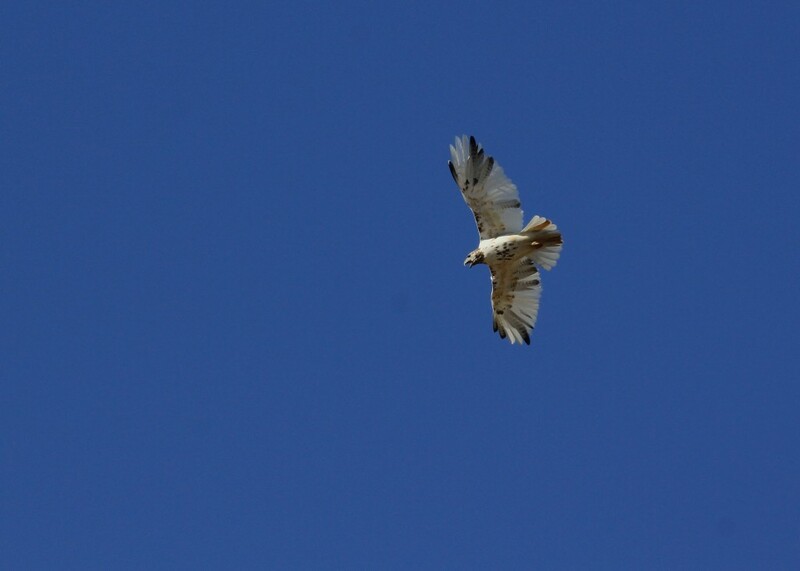 It really was something to see this hawk in flight. 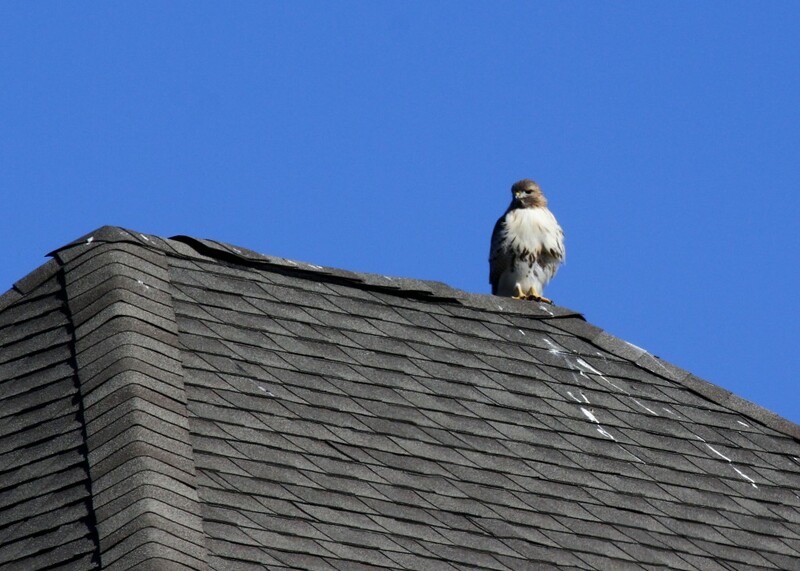 A Red-tailed Hawk perched on the roof of a McMansion in Warwick, NY. My next stop was Missionland Road. 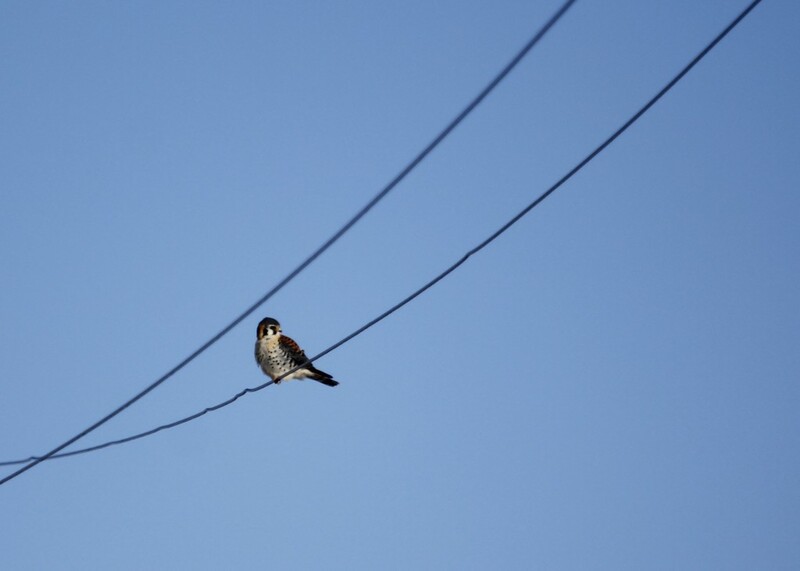 I drove the length of the road and tallied 7 Red-tailed Hawks, 8 Black Vultures, many crows and one American Kestrel (which, of course, was on a wire). I also got some photos of this bird in flight, but they were all silhouettes. Male American Kestrel at Missionland Road 1-27-13. 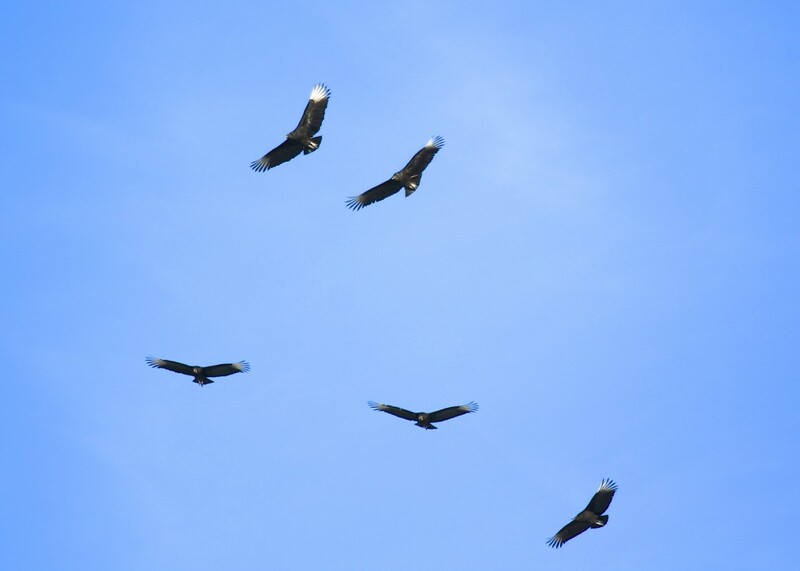 I really enjoyed seeing these Black Vultures at Missionland Rd. 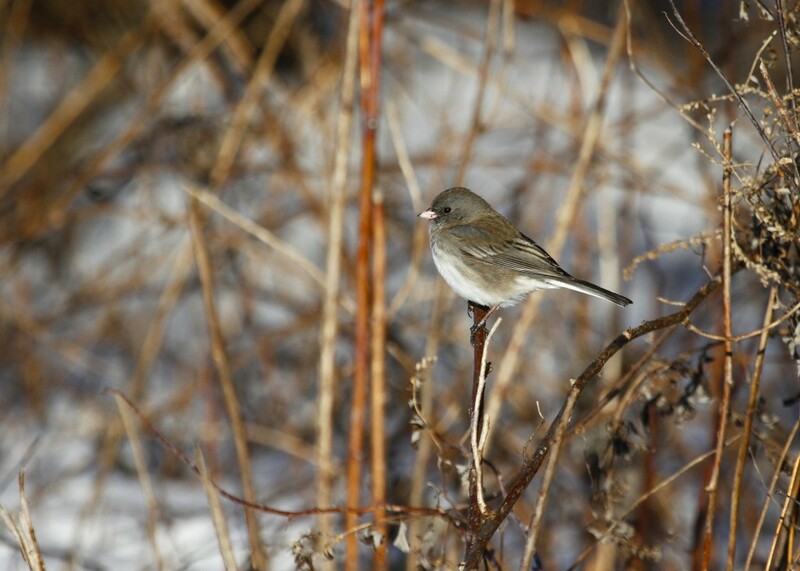 One more Junco. They were kind enough to sit for some photos. 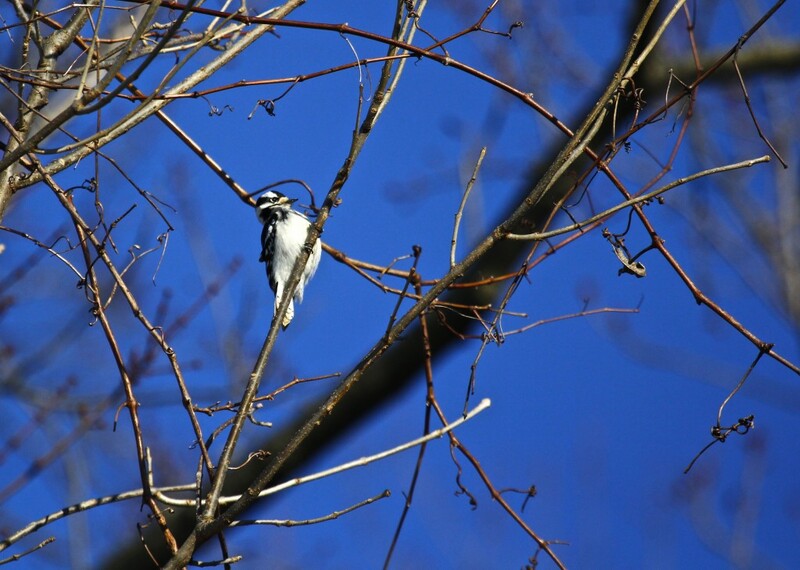 I’m still in search of a good one of these – Downy Woodpecker at Wallkill River NWR 1-27-13. These guys are never too shy. 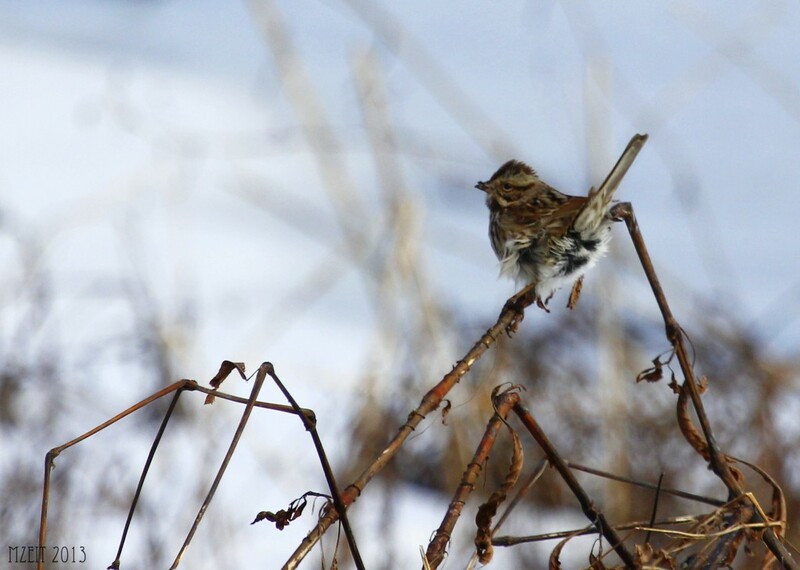 Song Sparrow at Wallkill River NWR 1-27-13. I made it out to the grasslands yesterday afternoon into the evening and spent some time in one of the blinds. I am finding it hard to resist going there when the light is good because you all but guaranteed to get some birds up close and plenty of good photo opportunities. I knew the day had some possibilities when I got this Merlin from the parking area. 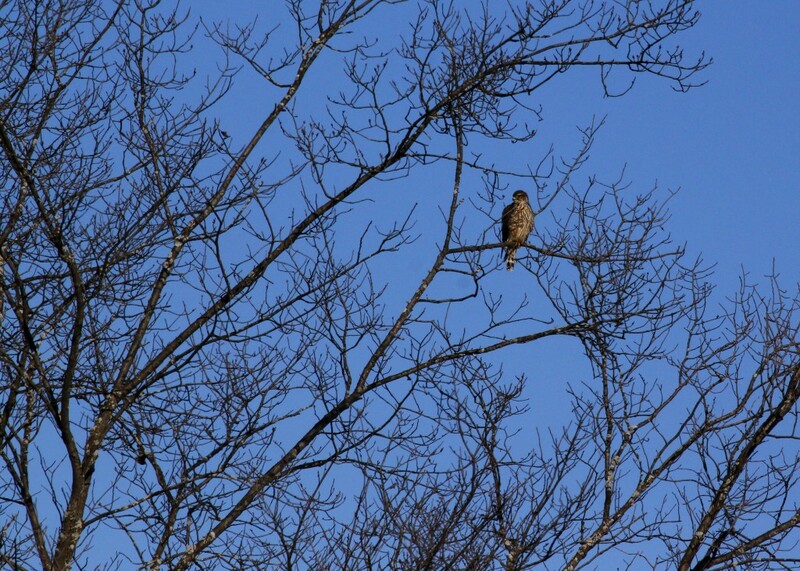 This Merlin was preening in one of the trees closest to the parking area. 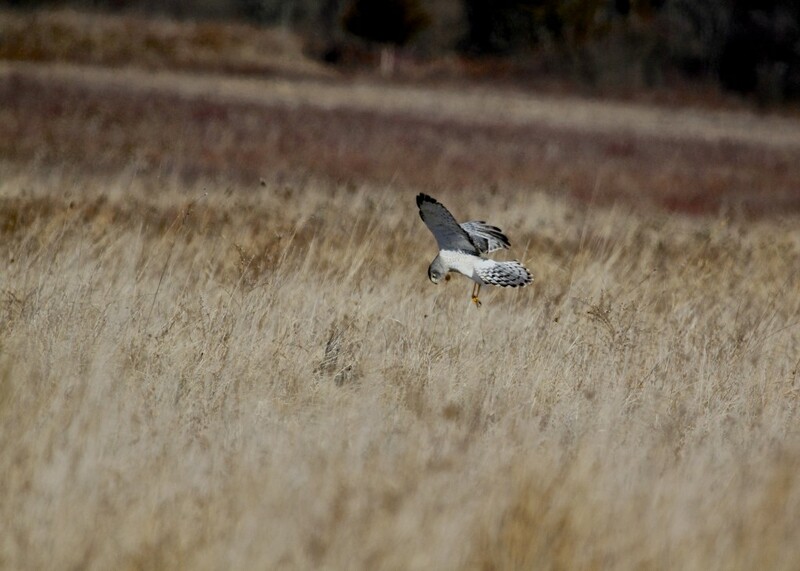 And this Northern Harrier flew right over head as I made my way to the blind. I wasn’t in the blind for more than ten minutes when the Gray Ghost came pretty close by. 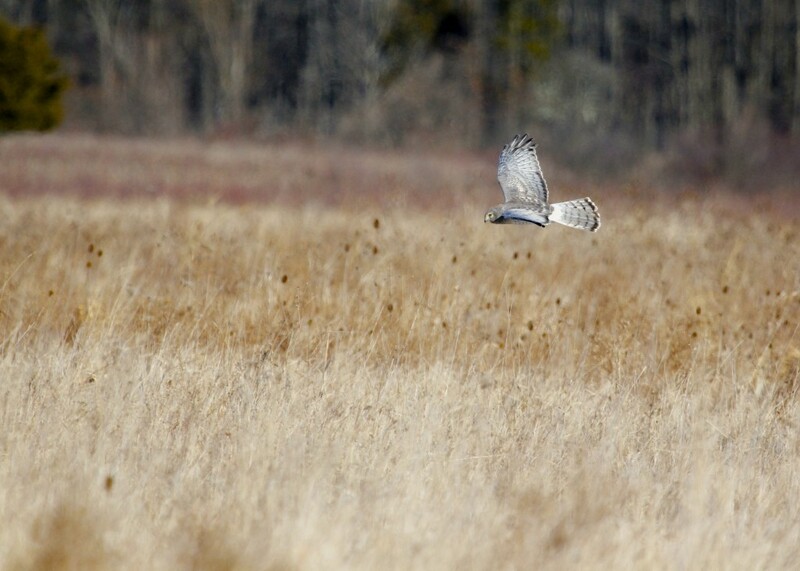 As both of these photos are a little soft, I feel like I still haven’t gotten a good photo of a male Northern Harrier. 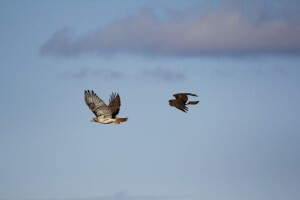 The Northern Harriers were really flying, at one point I counted eight that I could see in one sweep. 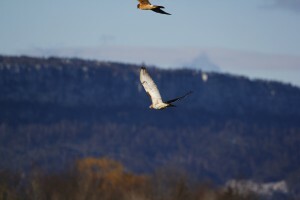 Some where flying VERY close to the blind. 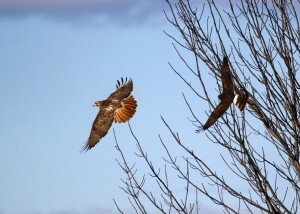 Here’s a sequence of a NOHA chasing a Red-tailed Hawk that dared to perch in one of the trees near the blind. 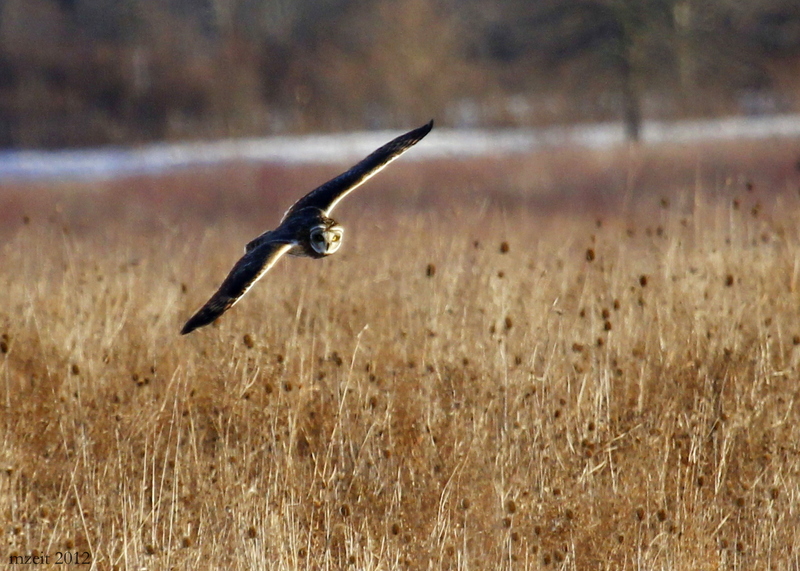 I was hoping the Short-eared Owls would come out early, but they did not. I spoke to Ralph, who opens and closes the gate there every day (among many other responsibilities), and he said they haven’t come up early in a couple of weeks. I’ve noticed the same thing with the SEOWs in Orange County as well. I’m not sure why this would be. 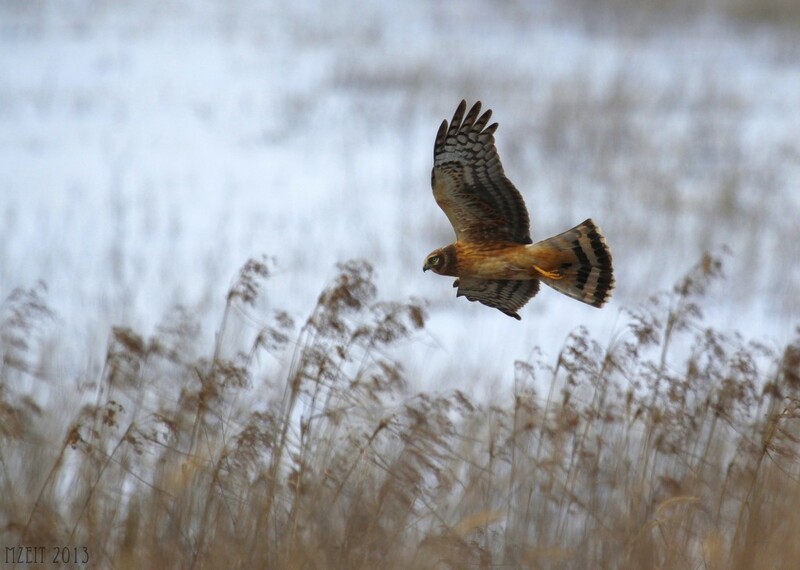 Northern Harrier at Wallkill River Wildlife Refuge 1-19-13. I feel like it has been forever since I got out for a full day of birding with any success. 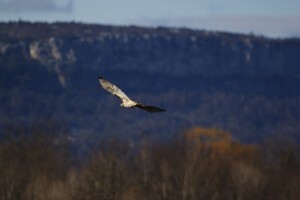 Karen Miller and I met out at Wallkill River Wildlife Refuge right around sunrise this morning. It was really cold out, 25 degrees Fahrenheit with a substantial wind chill. We sat in the car for a while and then on the platform for a bit until it got too cold. 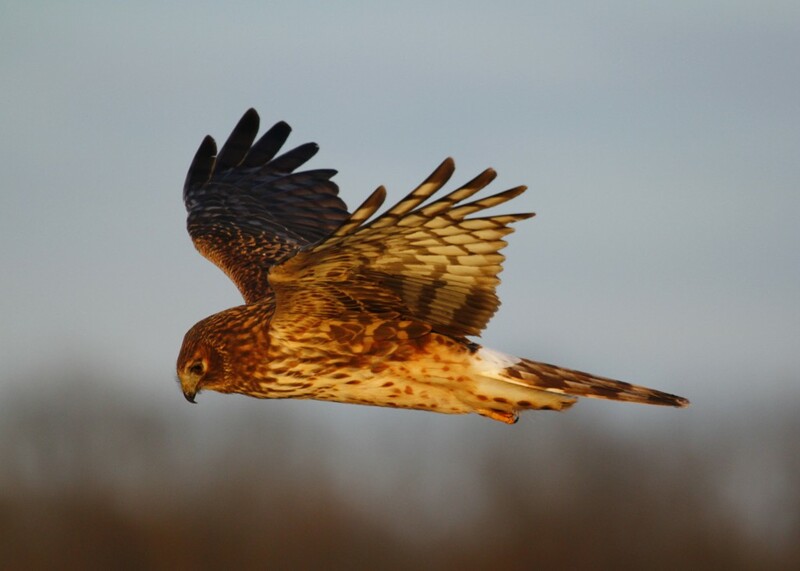 There were many raptors to be seen – Red-tail Hawks, Rough-legged Hawks, a juvenile Bald Eagle, and several Northern Harriers. 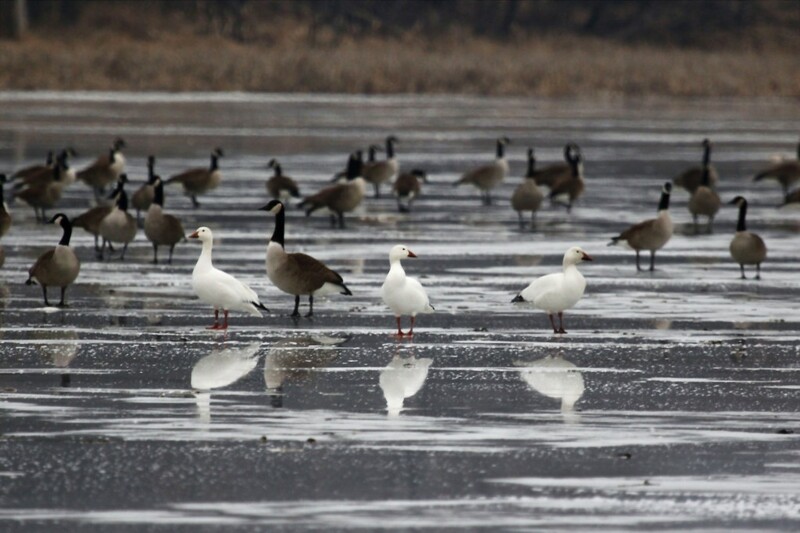 We decided to follow up on a post seen on the Mearns Bird Club site; we went to Greenwood Lake. There was no good spot to get a clear photo of these Common Mergansers. 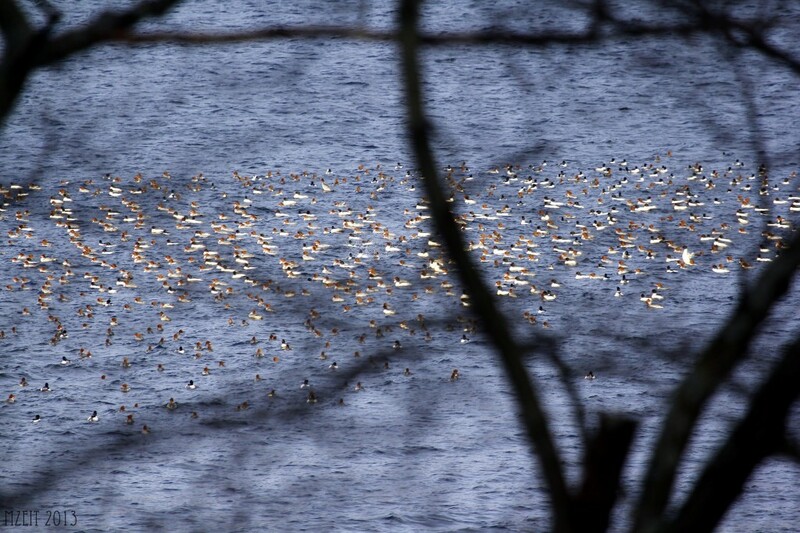 It was really a thrill to see all these birds at once. Greenwood Lake 1-19-13. We stumbled upon Browns Point Park, in West Milford NJ. I totally missed the sign, but Karen saw it and had me turn around. Thank goodness too, because the park provided the best look at ducks that we had all day. We got very good close looks at: Buffleheads, Ring-necked Ducks and Mallards. 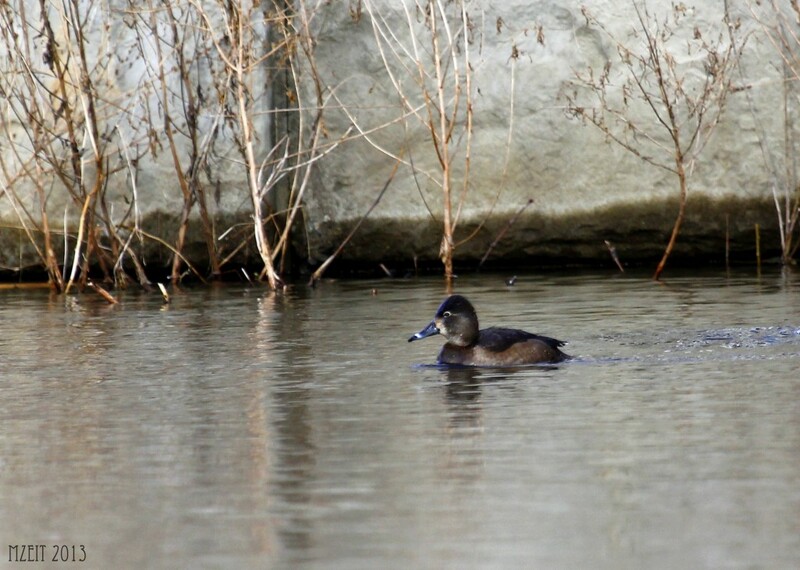 Ring-necked Duck at Browns Point Park 1-19-13. 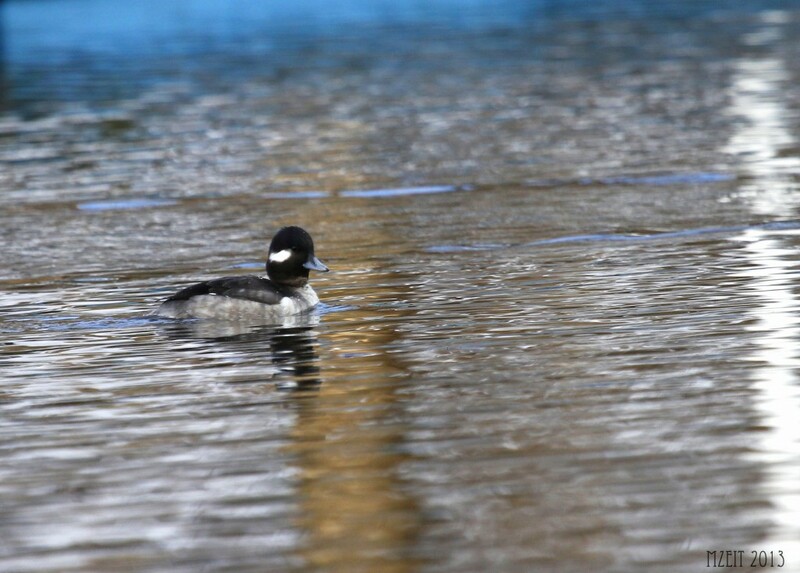 A female Bufflehead makes her way down the canal at Browns Point Park, 1-19-13. 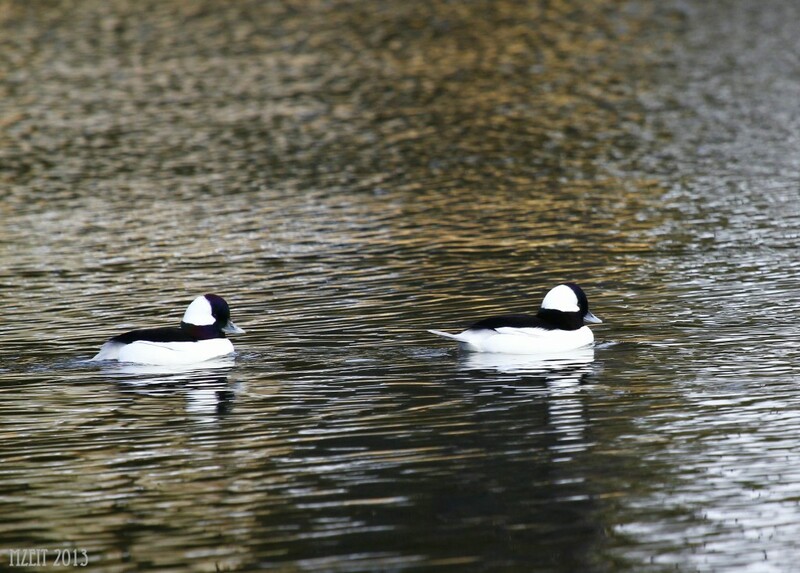 Buffleheads at Browns Point Park. After Greenwood Lake, Karen and I headed back to Wallkill River Wildlife Refuge. We decided to walk the Liberty Loop trail; it had warmed up considerably but it was still really windy. Walking through the wind and snow was tough but we were rewarded by seeing many sparrows, Northern Harriers, and a surprise showing of a Short-eared Owl at 12:45 pm. What a great day of birding! Pretty good for January nineteenth. 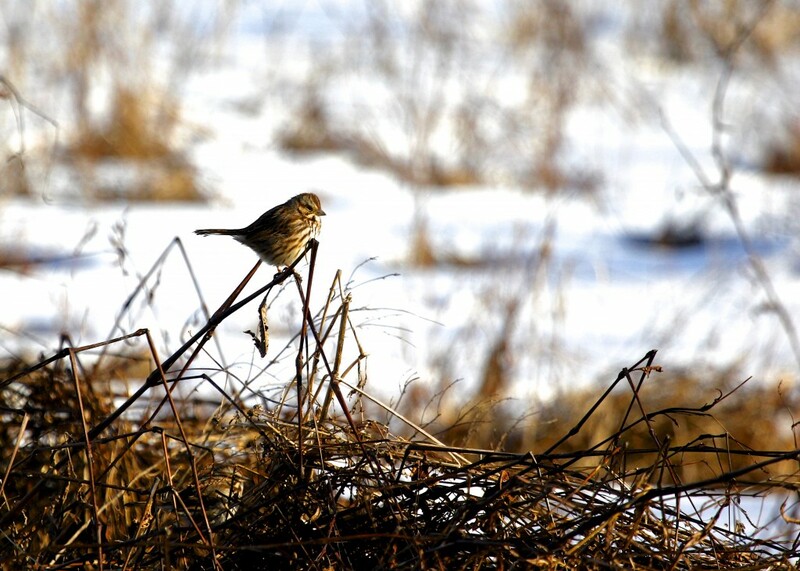 Evidence of the high winds out at Wallkill River Wildlife Refuge, a wind blown song sparrow on the Liberty Loop. 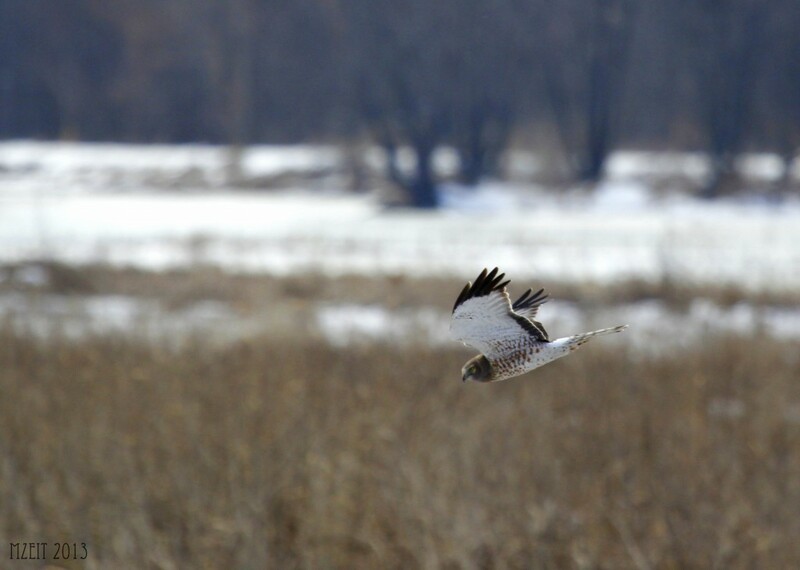 One more Northern Harrier out at Wallkill River Wildlife Refuge, 1-19-13. 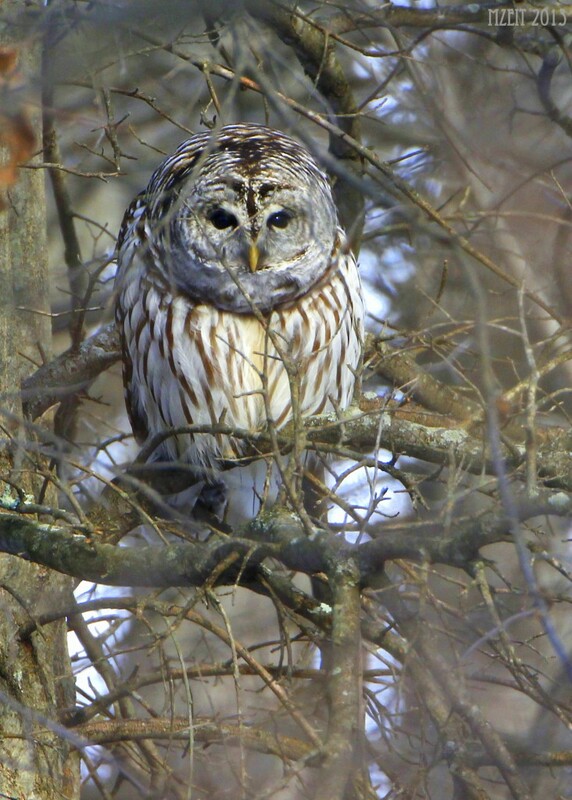 Barred Owl at the Great Swamp NWR in Basking Ridge NJ, 1-4-13. It is really amazing to me when you go out looking for a specific bird and you actually get to see it. Tricia and I were on our way to a wedding in New Hope Pennsylvania. I checked the map and our route took us right past the Great Swamp NWR. 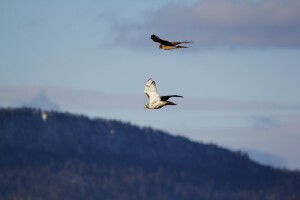 I was there not too long ago and had a conversation with a local birder. He told me that there are a pair of Barred Owls that are pretty regular at the reserve, he even told me where they are likely to be found. Well Tricia and I went to the reserve and looked where he had said, but had no luck. On our way out however, we saw a stopped car. The driver was out and had his camera set up on a tripod…I figured it had to be something good. The photographer (I was so excited I never got his name!) told me he had found a Barred Owl. This was the first owl he had ever found on his own, so he was pretty excited too. He showed us where owl was and we got really good looks in our binoculars. Photos, however were pretty tough because the bird was deep in the woods and there were so many little branches between myself and the bird. The photographer had set up his camera in the only clear shot at the bird. I took a couple photos right along side with some success, but then he surprised me by removing his camera body off the lens and asking me if I wanted to take some photos using his lens! He had a monster lens set up, and the result is the above photo. Huge thanks to that photographer – how generous! 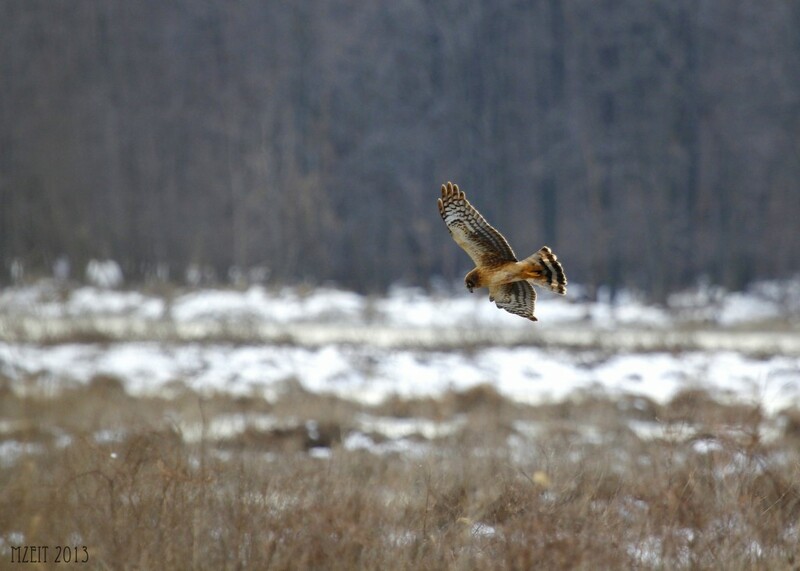 Author mattzeitPosted on January 7, 2013 January 22, 2013 Categories Raptors, RaritiesLeave a comment on BARRED OWL! 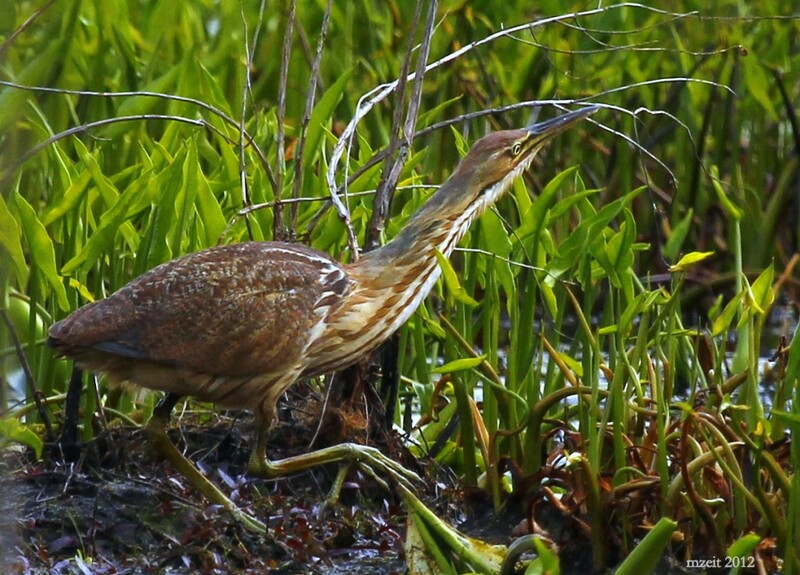 I picked the American Bittern as my favorite bird of the year mostly because this is a bird that I was not very confident I would ever get a chance to see (much like the Least Bittern now!). I have for a long time been fascinated by this bird, and to finally get to see one and also get to take some photographs was really a special treat. Taking a small boat tour along the Cliffs of Moher in Ireland was an amazing experience. It’s not every day you get to see Northern Fulmars, Black-legged Kittiwakes, Common Murres, Razorbills, and of course Atlantic Puffins. 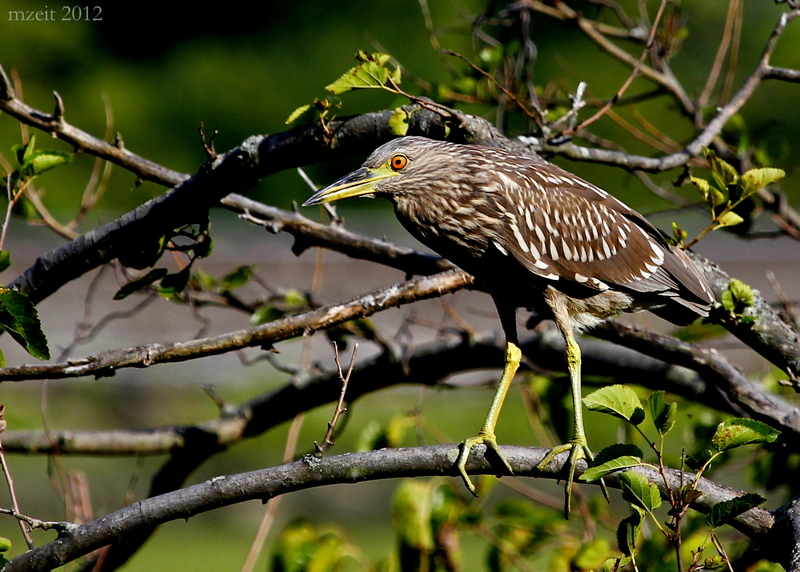 It was an amazing day of birding! 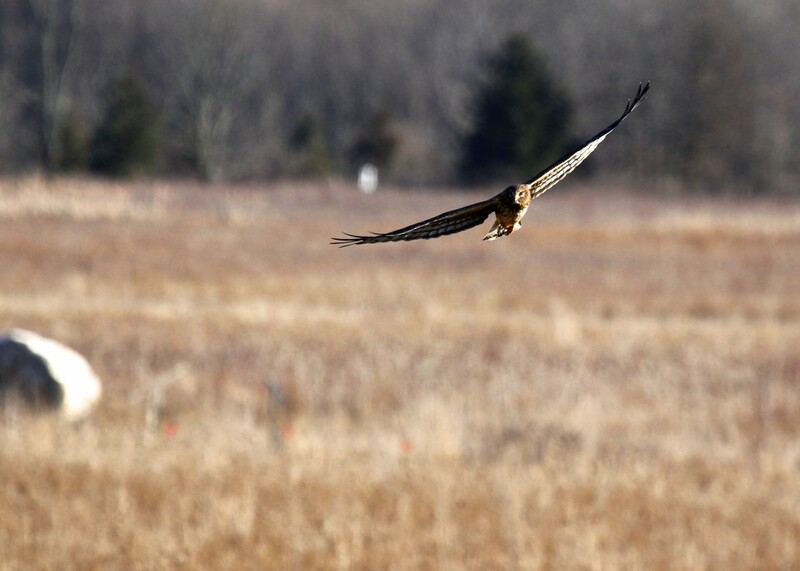 Honorable mention goes to the Liberty Loop at Wallkill River NWR. 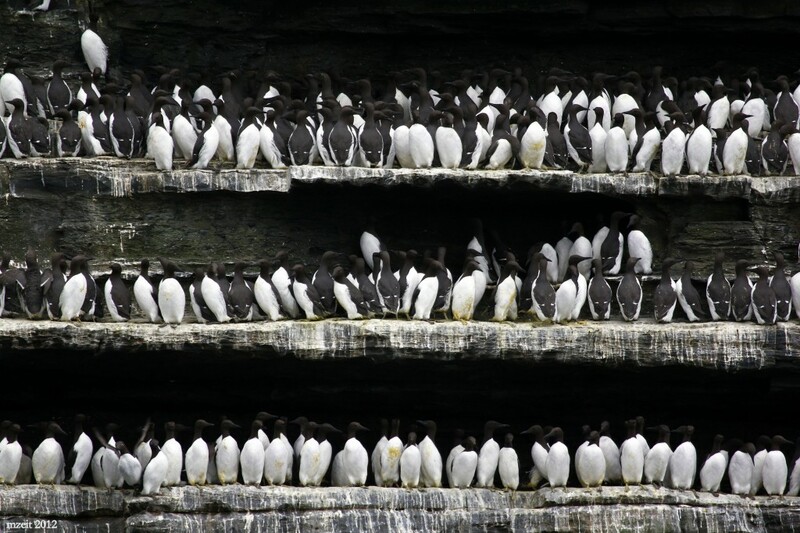 This is the location that I think I went to the most frequently last year – I always felt that it offered a good look at a wide variety of bird species. 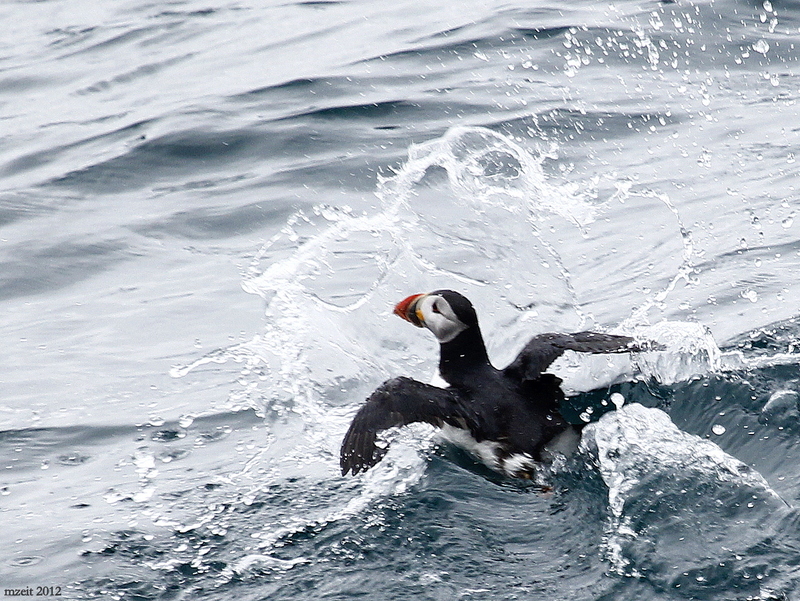 I think this was my most exciting birding experience of the year for two reasons. 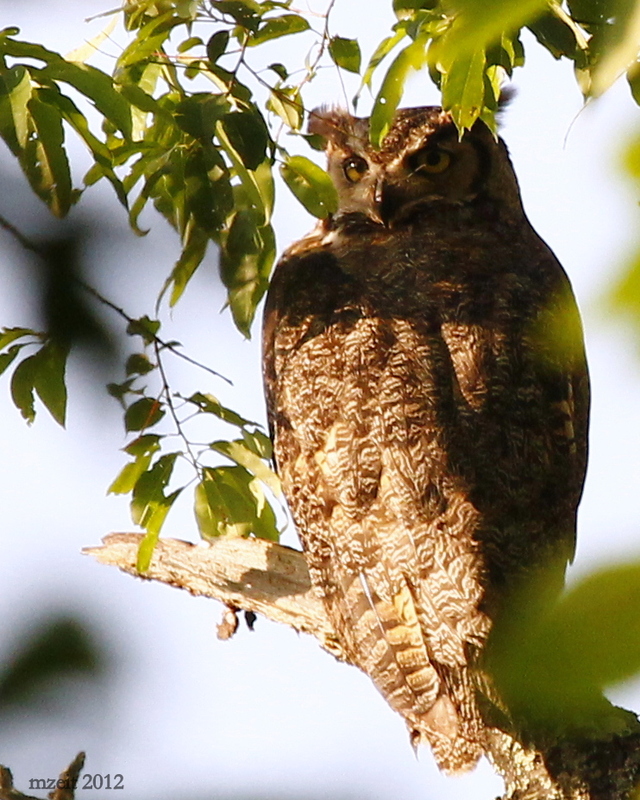 The first is obvious…It’s a GREAT HORNED OWL – what an incredible bird! The second reason is that Tricia, Karen, and I went out to Linear Park with no real expectations and no prior knowledge of the possibility of finding a Great Horned Owl there. So, to be out there and to find this owl was shocking and exciting. Well, here’s hoping that 2013 brings as many (hopefully more!) awesome birding experiences. Happy New Year! Author mattzeitPosted on January 1, 2013 January 1, 2013 Categories Uncategorized5 Comments on Happy New Year!